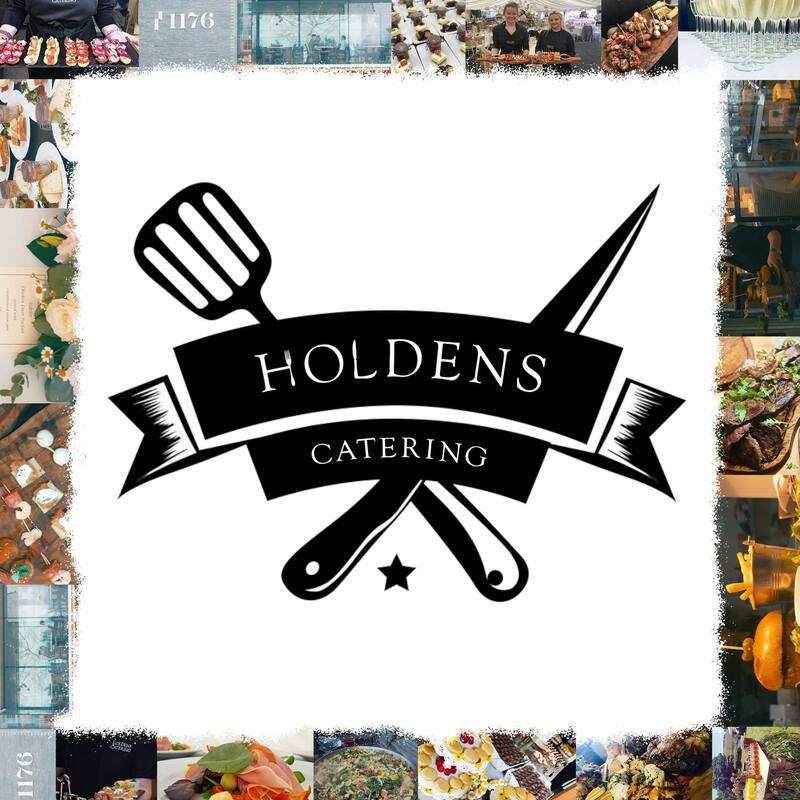 We at Holden’s Catering offer a professional service tailor-made to your special event, from a simple sandwich lunch at your office or an exciting themed three course board room meal with silver service. Our head chef will discuss various options to produce your preferred menu. We provide a quality service of corporate catering with fresh food delivery. Company/product launch, company anniversary or Christmas party. A food taste is available if you require. Why not email Tom Holden? 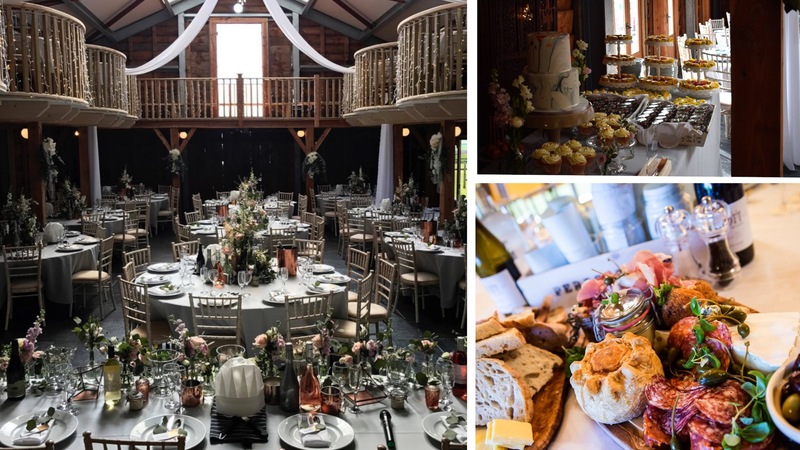 We at Holden’s Catering provide a professional standard of wedding catering, incorporating a unique tailor-made service that will surpass your every expectation. Our reliability ensures peace of mind, so you can sit back and enjoy your beautifully prepared food. 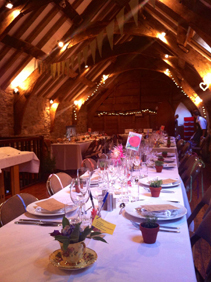 Ranging from a hog roast and salads, to a multiple course tasting menu. 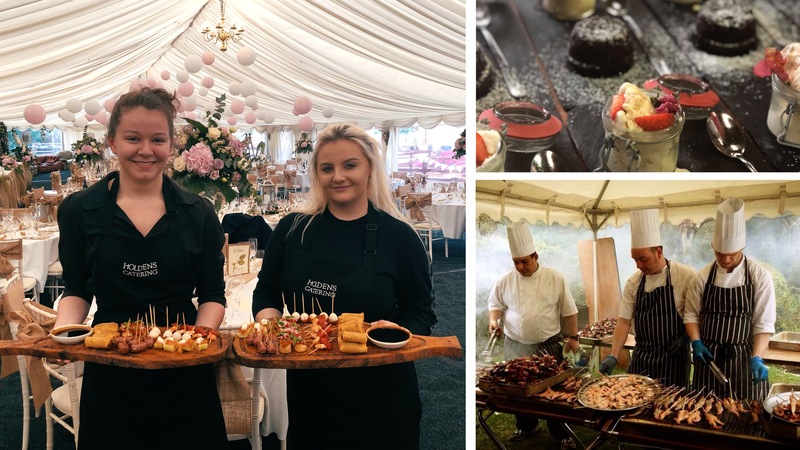 As a progressive forward thinking catering company, we are committed to use where possible, seasonal and locally sourced ingredients. 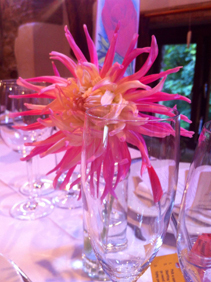 This means our freshly prepared menus have greater style, impact and flavour which will all Add to your perfect day. We cancel out the hassle of adding up all the extra costs by including everything in a single price per head. 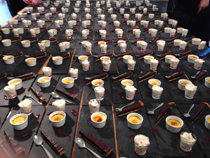 All cutleries, crockery, glassware, chefs & waiting staff. We hold a 5-star hygiene rating & £10 million public liability insurance. 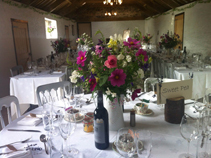 Tom & Nicole have over 10 year’s experience in wedding catering, so rest assured, you're in very capable hands. With Tom's 30 years of experience as Chef, coupled with his extensive knowledge of sustainable farming methods from growing up on a pioneering organic farm, means that we are confident of the sourcing & traceability of our raw ingredients and the perfect delivery of this.